Whether you are craving for a sumptuous buffet feast or a glass of cocktail in an intimate yet charming atmosphere, Chatterz and Alto Sky Lounge at Hatten Hotel Melaka is perfect option of your dining venue. The height of luxury is found on the 22nd floor of Hatten Hotel. 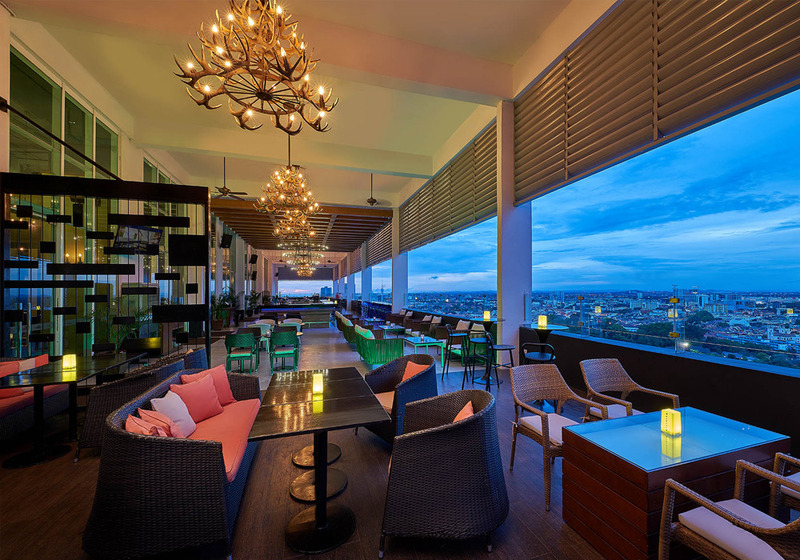 Soaring over a breathtaking cityscape, Alto Sky Lounge offers guests spectacular views of Melaka’s coastal township. Sit back and relax against this stunning backdrop while sipping a mix of deftly crafted cocktails, delicious light bites and a variety of fine wines. Serving a mouth-watering range of traditional, contemporary and fusion dishes, Chatterz specialty buffets are the talk-of-the-town with a vast variety to suit your palate. Helmed by renowned Executive Chef, each dish is infused with his bold yet uniquely appetizing blend of rich flavours and pleasing textures.